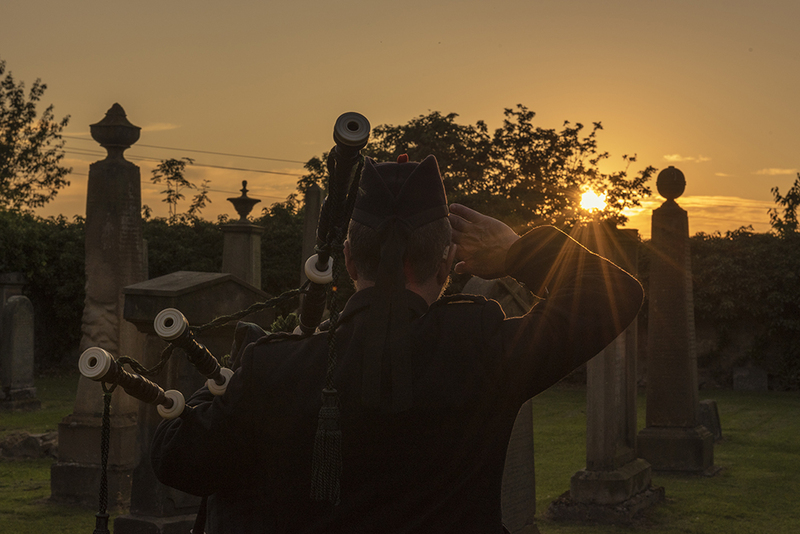 Bagpipes played at funerals can touch the deepest emotions. 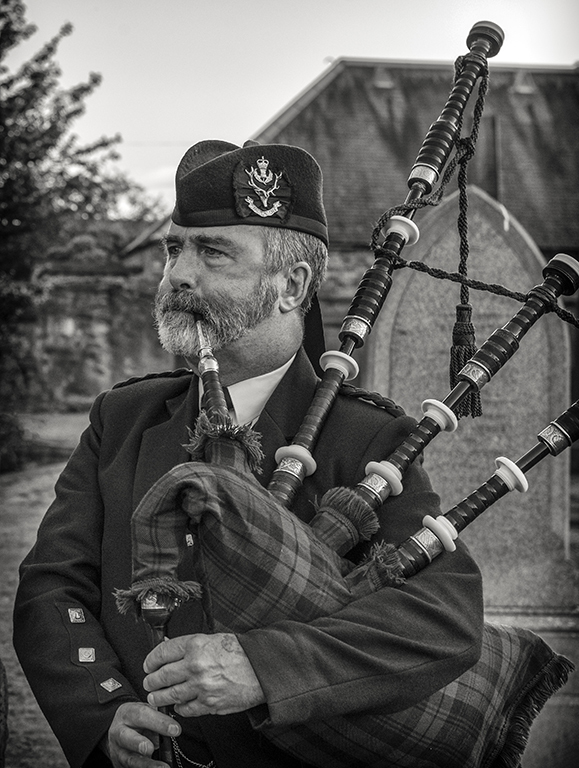 For centuries pipers have played to commemorate the loss of a loved one. The soulful and haunting sounds of the ancient scale express convictions and feelings that words alone may fail to convey. If you are reading this, you may be in need of a piper to help you and your family deal with a very difficult time in your lives. 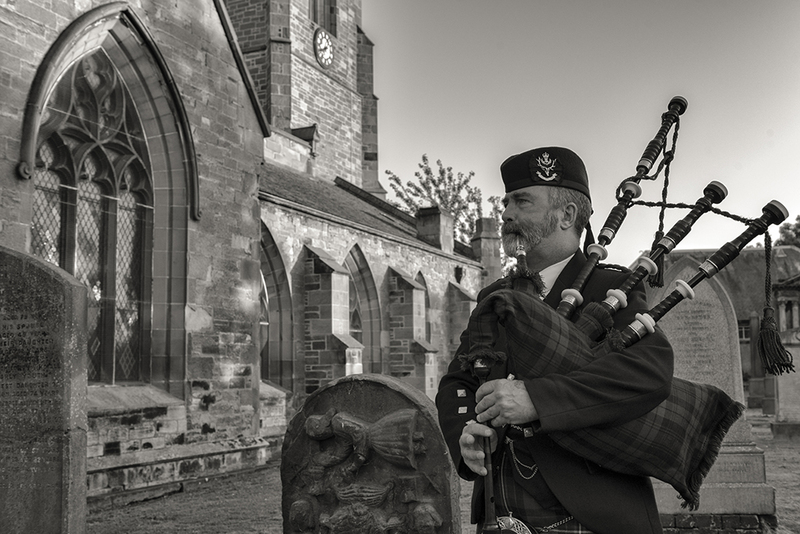 The pipes can be utilised at any point during the funeral service, it’s purely personal choice, but below are a few suggestions where you may wish to involve a piper.